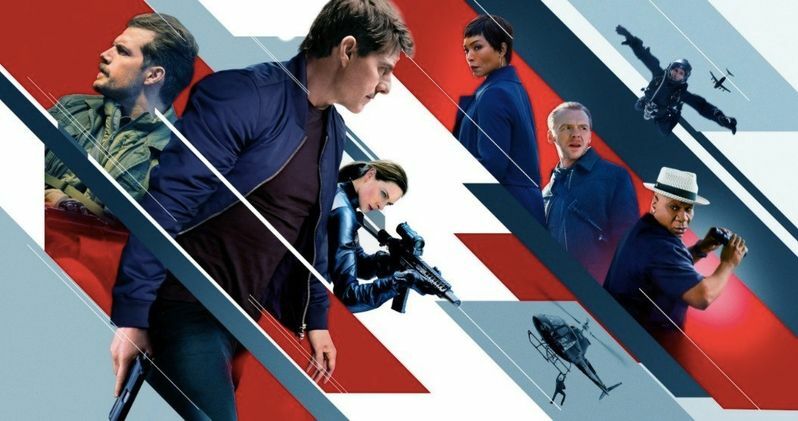 Mission: Impossible - Fallout has been getting rave reviews and has an A CinemaScore, which undoubtedly helped fuel the number one box office opening, earning $61.5 million domestically with an additional $92 million worldwide for a combined $153.5 million. It's the highest grossing debut of the entire Mission: Impossible franchise and a career second best for star Tom Cruise. War of the Worlds opened at $64.9 million back in 2005 and remains to be Cruise's best opening weekend of his long career. Mamma Mia: Here We Go Again took the second spot at this weekend's box office with $15 million, bringing the domestic total to $70.4 million in the first two weeks of its theatrical run. The Denzel Washington-starring Equalizer 2 was number one last weekend, but fell to number three this weekend with $14 million. The sequel is a career-first for Washington and has earned $64.2 million domestically after falling 61 percent from last weekend. Hotel Transylvania 3: Summer Vacation took the fourth position this weekend bringing in $12.3 million for its third weekend at the box office. The number five position went to Teen Titans Go! to the Movies , which also made its debut this weekend. The animated film boasts an impressive B+ grade at CinemaScore and is the first movie to be adapted from the Cartoon Network series. Teen Titans Go! To The Movies cost about $10 million to make and earned $10.5 million domestically and took in an additional $1 million overseas. The movie will more than likely do steady business until it's time to go back to school for the fall. Number six this weekend went to Marvel's Ant-Man and the Wasp, which took in $8.4 million, bringing its worldwide total to $394.2 million in its fourth weekend, which means that the sequel still has a ways to go before catching up to the first installment's total earnings of $519.3 million. Disney's Incredibles 2 snagged the seventh spot this weekend, earning $7.1 million. This weekend brings the animated film one step closer to the $1 billion club worldwide, which it will surely hit next week. Jurassic World: Fallen Kingdom took the eighth spot this weekend with $6.7 million. Since its release at the end of June, the sequel has earned over $1.2 billion worldwide, despite mixed reviews from critics and fans. Jurassic World: Fallen Kingdom currently holds the number four spot for highest grossing movies of 2018. Dwayne Johnson's Skyscraper took the number nine spot this weekend, earning $5.4 million, bringing its domestic total to $59.1 million. However, since opening in China, the film has earned $225.7 million worldwide, which is what was expected to happen. And finally, The First Purge took in $2.2 million for the tenth spot at this weekend's box office. The Mister Rogers documentary, Won't You Be My Neighbor, wasn't in the top ten this week, but it has earned over $20 million, making it the highest grossing biographical documentary in box office history. You can check out the rest of this weekend's top box office number over at Box Office Mojo.